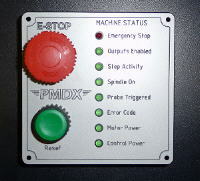 Machined and engraved plastic panel with PMDX-179 mounted from behind and LEDs passing through the panel. 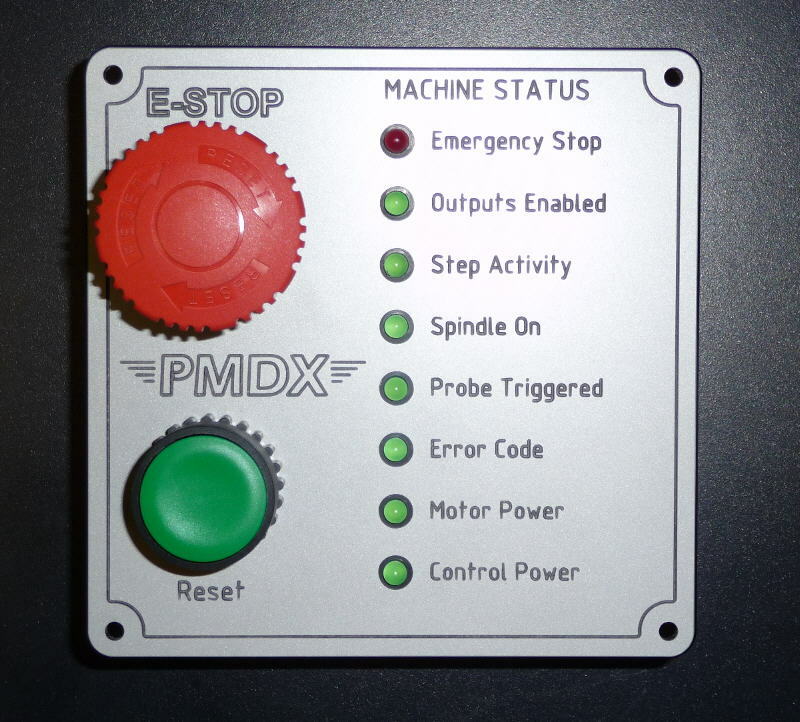 Includes E-Stop switch and Reset pushbutton. Standard version with 5mm LEDs on reverse side of the board for internal mounting directly behind the panel or wall of the control box with LEDs displayed through holes in the panel. 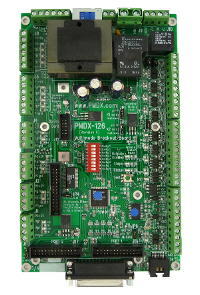 This is the board used behind the panel in the PMDX-179-PAN shown above. 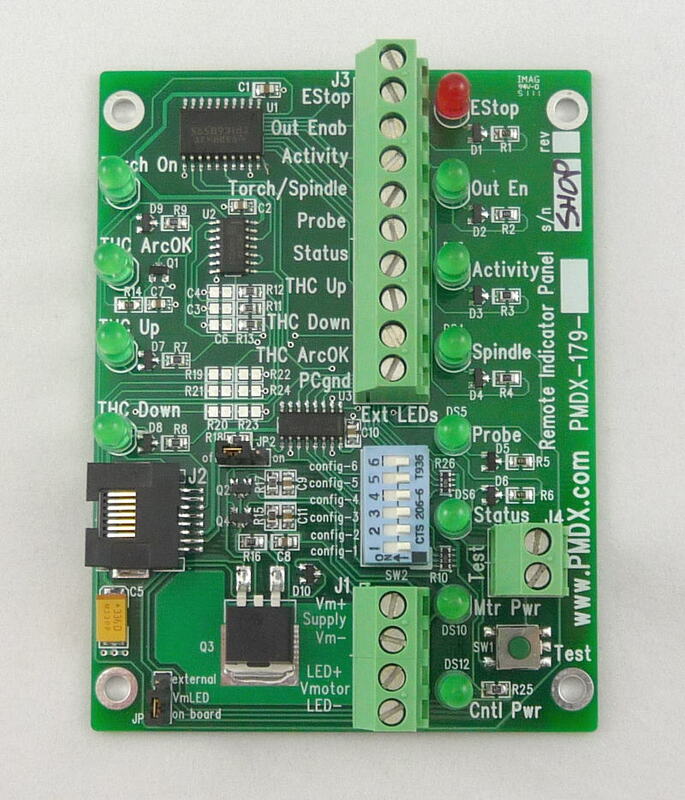 The front side of this board is like the PMDX-179-EXT shown below except the LEDs are on the reverse side. 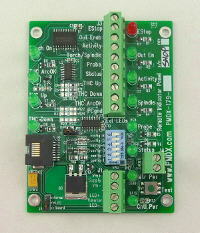 Optional version for driving external industrial LED indicators, LED based light towers, or relays. 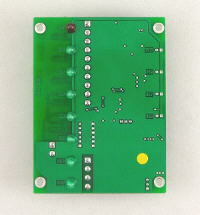 The on board LEDs are on the top of the board for visibility inside of your control box. 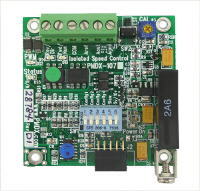 Provides for remote Test/Reset button on the circuit board and for external button connected to terminal strip input. 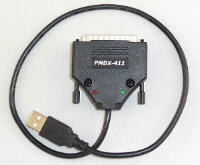 (revision 1.0, 124 KB, 5 Jun 2012).